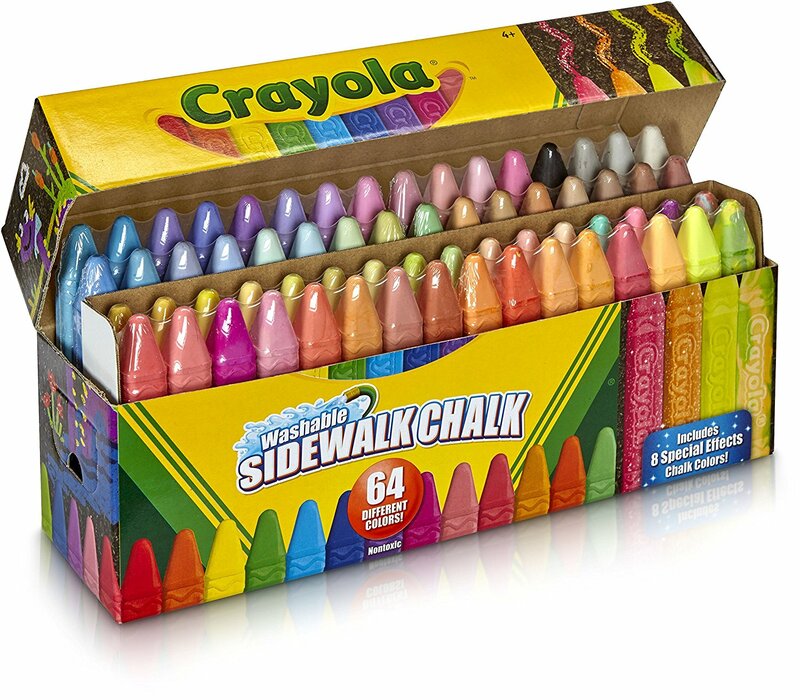 Head over to get this Crayola Sidewalk Chalk, Washable, Outdoor, Gifts for Kids, 64 Count for ONLY $6.79 (Retail $11.99)! Featuring 64 different bold, bright colors, the Crayola Washable Chalk Collection offers the largest collection of Crayola Chalk available in one big box. Crayola Washable Chalk lets kids turn sidewalks into works of art, with a wide variety of colors for vibrant outdoor designs. This collection includes 56 regular colors and eight special-effects chalk sticks for added flair.